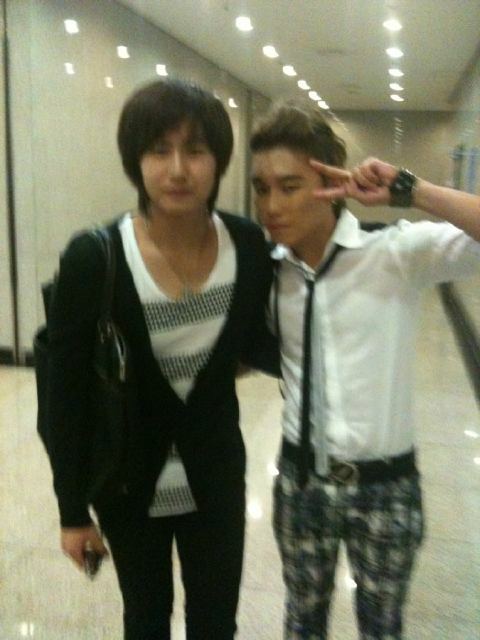 Lim Han Byul, a former A'st1 member tweeted a picture of him with our Otter prince Young Saeng! I believe this was taken yesterday, Aug 29. This was reportedly taken at a concert of Monday Kiz, a Korean group in which Han Byul is now a member of. Glad to see that ex-DSP talents are still friends even though they're not in the same company anymore. The pic is a bit blurred, but we all miss Saengie, so every sighting of him that we can uncover is precious.